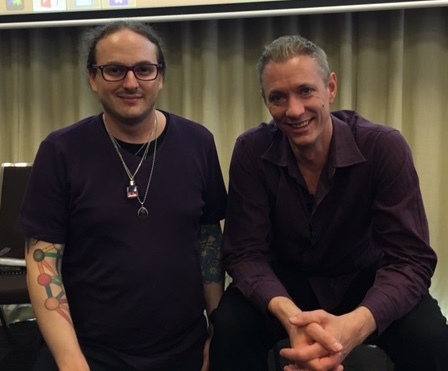 Brad Whisnant and Simon Altman at the Tung distal Acupuncture Workshop. Pain is one of the most common reasons people are introduced to acupuncture as a therapy. Acupuncture has been used in pain management for over 2000 years and continues to this day in modern China. Hospitals and acupuncture clinics are always dealing with pain and creating management plans for individuals who are in distress. The methods used within distal acupuncture have been described in Traditional Chinese medical texts for well over a millennium. Distal acupuncture involves inserting needles away from the distressed areas, going distant/distal from the injured site as opposed to proximal/close or needling the target area. For instance, to influence the back you may needle a hand and forearm or foot and calf. Distal Acupuncture works using the meridian system and modern anatomy through targeting specific muscle groups and areas of discomfort. It allows the injured or sore area to relax and heal without causing any further trauma to the area. The two main pioneers of distal acupuncture were Master Tung with his family lineage of specific acupuncture points now known as “Tung Acupuncture” and Dr Richard Tan who created what is now known as the “Balance Method” based on the I-Ching and Traditional Chinese Medicine meridian theory. It is through a combination of these two systems using distal methods of acupuncture which allows a practitioner to impact specific areas on the body.